This article is part of a series in which I attempt to use the web under various constraints, representing a given demographic of user. I hope to raise the profile of difficulties faced by real people, which are avoidable if we design and develop in a way that is sympathetic to their needs. Last time, I navigated the web for a day using a screen reader. This time, I spent the day using Internet Explorer 8, which was released ten years ago today, on March 19th, 2009.
Who In The World Uses IE8? 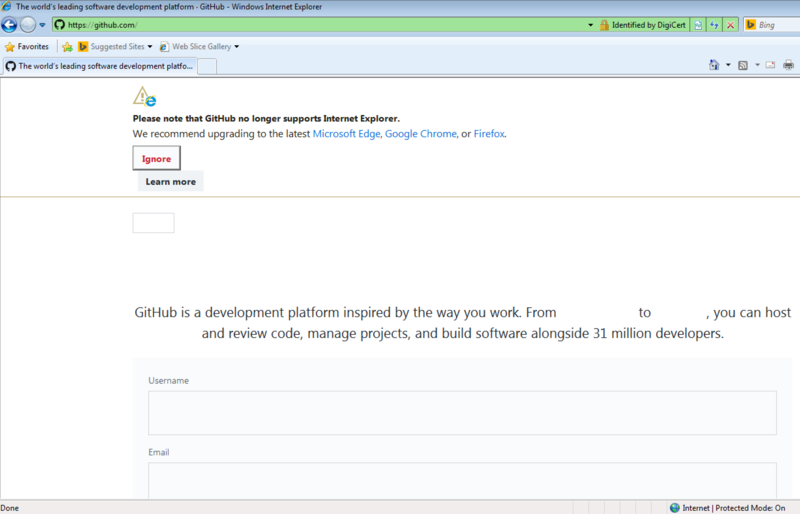 Before we start; a disclaimer: I am not about to tell you that you need to start supporting IE8. There’s every reason to not support IE8. Microsoft officially stopped supporting IE8, IE9 and IE10 over three years ago, and the Microsoft executives are even telling you to stop using Internet Explorer 11. But as much as we developers hope for it to go away, it just. Won’t. Die. IE8 continues to show up in browser stats, especially outside of the bubble of the Western world. The higher estimate comes from StatCounter (the same data feed used by the “Can I use” usage table). 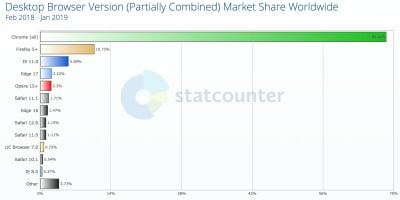 It estimates global IE8 desktop browser proportion to be around 0.37%. I suspected we might see higher IE8 usage in certain geographical regions, so drilled into the data by continent. 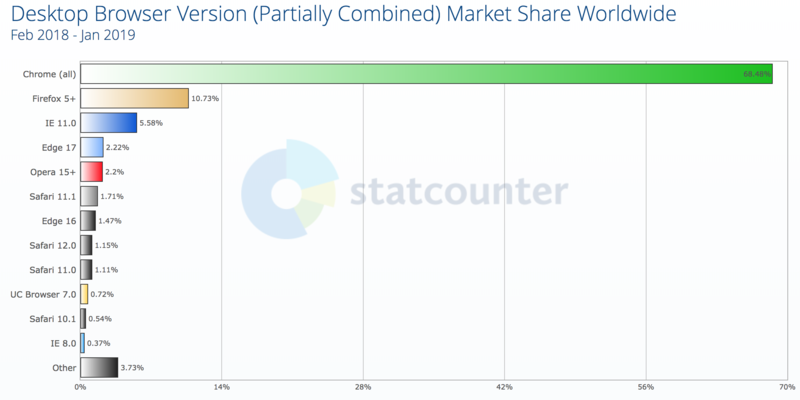 Someone in Asia is five times more likely to be using IE8 than someone in Oceania. 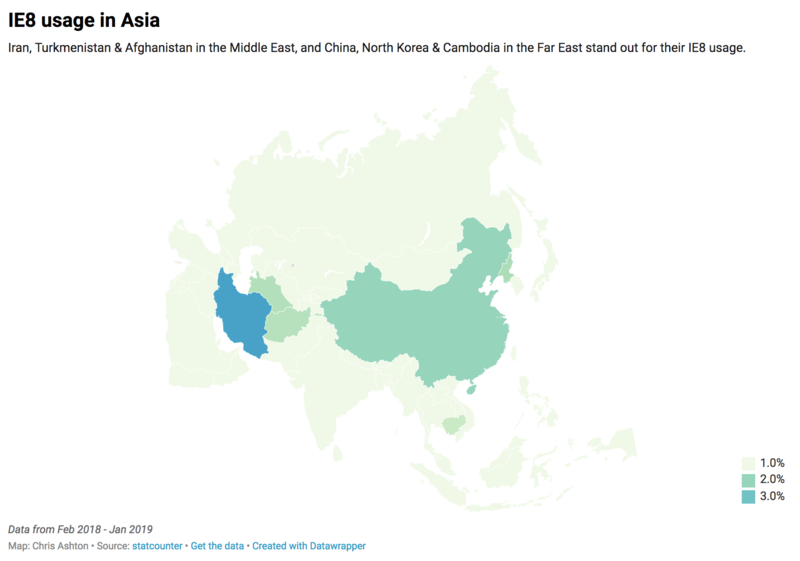 Incredibly, IE8 makes up around 4% of desktop users in Iran — forty times the proportion of IE8 users in Oceania. 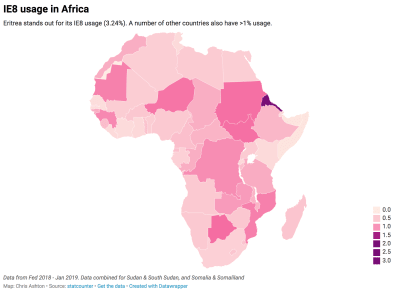 Whereas the countries in Asia that have higher-than-normal IE8 usage are roughly batched together geographically, there doesn’t appear to be a pattern in Africa. The only pattern I can see — unless it’s a coincidence — is that a number of the world’s largest IE8 using countries famously censor internet access, and therefore probably don’t encourage or allow updating to more secure browsers. If your site is aimed at a purely Western audience, you’re unlikely to care much about IE8. If, however, you have a burgeoning Asian or African market — and particularly if you care about users in China, Iran or Eritrea — you might very well care about your website’s IE8 experience. Yes — even in 2019! So, who are these people? Do they really walk among us?! They simply aren’t aware that they’re using outdated technology. They don’t know the upgrade options and alternative browsers open to them. Dismissing upgrade prompts because they’re busy, but not having the foresight to upgrade during quieter periods. The last time they upgraded, their machine slowed to a crawl, or they lost their favorite feature. Their OS is too old to let them upgrade, or their admin privileges may be locked down. Newer browsers are generally more demanding of your hard disk space, memory and CPU. A capped data allowance or slow connection mean they don’t want to download 75MB of software. They might be on a corporate machine that only condones the use of one specific browser. Is it really such a surprise that there are still people around the world who are clinging to IE8? 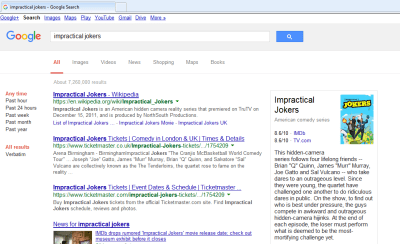 I decided to put myself in the shoes of one of these anonymous souls, and browse the web for a day using IE8. You can play along at home! Download an “IE8 on Windows 7” Virtual Machine from the Microsoft website, then run it in a virtualizer like VirtualBox. Hmm, okay. 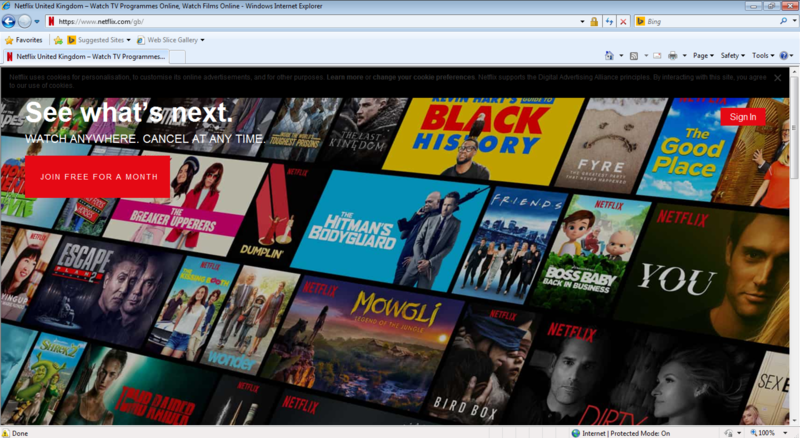 Looks like the default web page pulled up by IE8 no longer exists. Well, that figures. 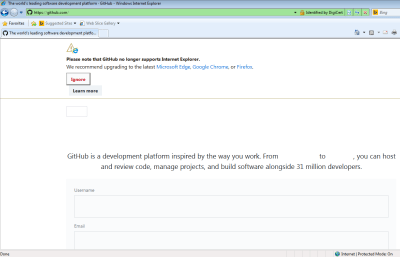 Microsoft has officially stopped supporting IE8 so why should it make sure the IE8 landing page still works? 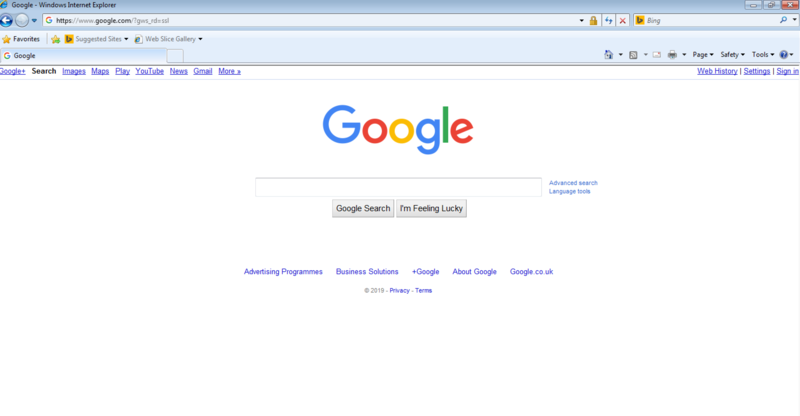 I decided to switch to the most widely used site in the world. 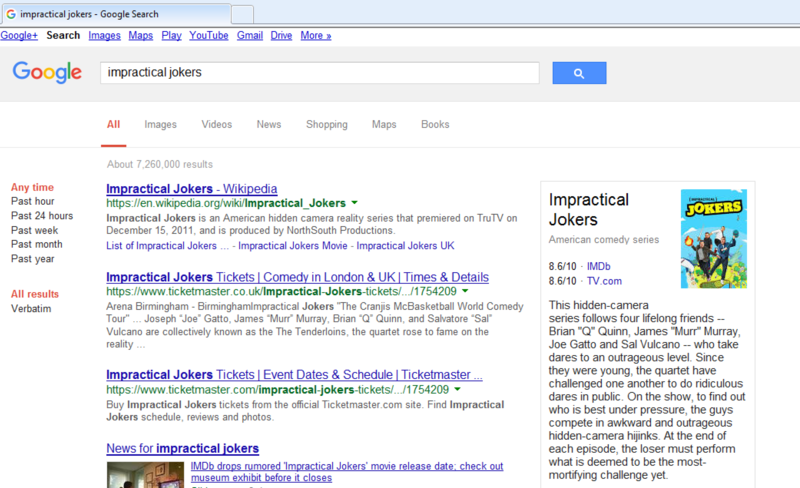 Still, the end result is fine by me — I got my search results, which is all I wanted. I clicked through to watch a YouTube video. There’s quite a lot broken about this page. 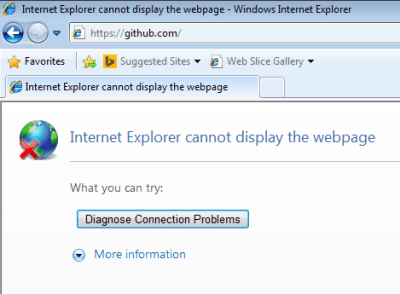 All to do with little quirks in IE. The logo, for instance, is zoomed in and cropped. 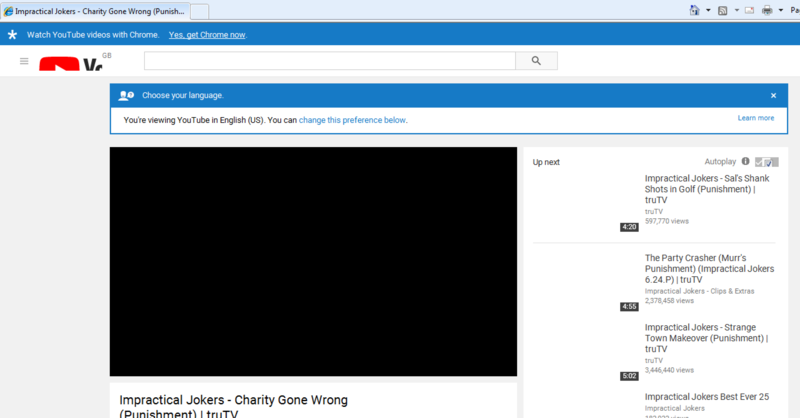 This is down to IE8 not supporting SVG, and what we’re actually seeing is the fallback option provided by YouTube. They’ve applied a background-image CSS property so that in the event of no SVG support, you’ll get an attempt at displaying the logo. Only they seem to have not set the background-size properly, so it’s a little too far zoomed in. or and it will basically render them as divs, but ignoring any styling you apply to them. That is wrapped in an IE conditional, by the way. is a HTML comment to most browsers — and therefore gets skipped — but in IE it is a conditional which only passes “if less than IE 9”, where it executes/renders the DOM nodes within it. Undeterred, I ignored the warning and tried searching for a video within YouTube’s search bar. IE8 traffic is clearly suspicious enough that YouTube didn’t trust that I’m a real user, and decided not to process my search request! 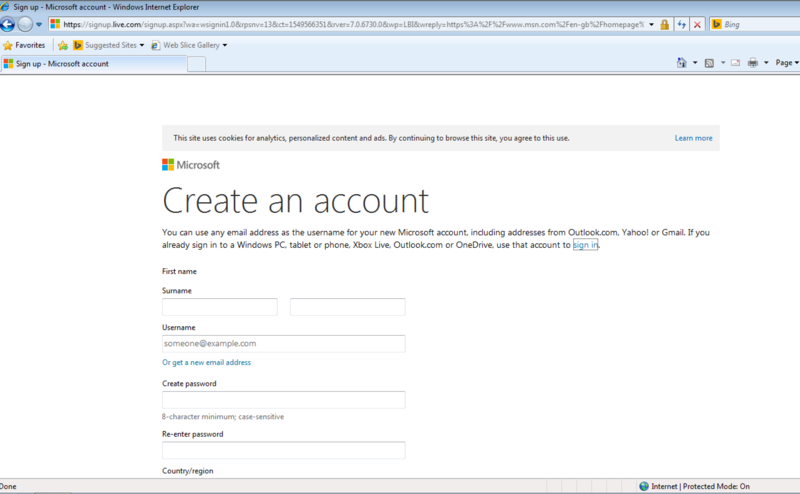 If I’m going to spend the day on IE8, I’m going to need an email address. So I go about trying to set up a new one. 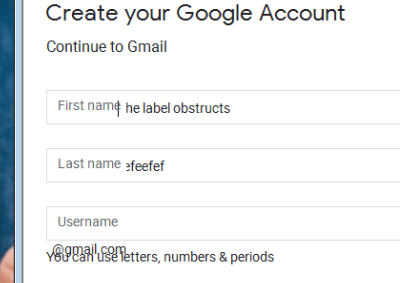 First of all, I tried Gmail. There’s something a bit off about the image and text here. I think it’s down to the fact that IE8 doesn’t support media queries — so it’s trying to show me a mobile image on desktop. One way you can get around this is to use Sass to generate two stylesheets; one for modern browsers, and one for legacy IE. You can get IE-friendly, mobile-first CSS (see tutorial by Jake Archibald) by using a mixin for your media queries. The mixin “flattens” your legacy IE CSS to treat IE as though it’s always a specific predefined width (e.g. 65em), giving only the relevant CSS for that width. In this case, I’d have seen the correct background-image for my assumed screen size and had a better experience. , and some clever JS moves the text out of the way when the input is focussed. The JS doesn’t succeed on IE8, so the text stays stubbornly in place. After filling in all my details, I hit “Next”, and waited. Nothing happened. 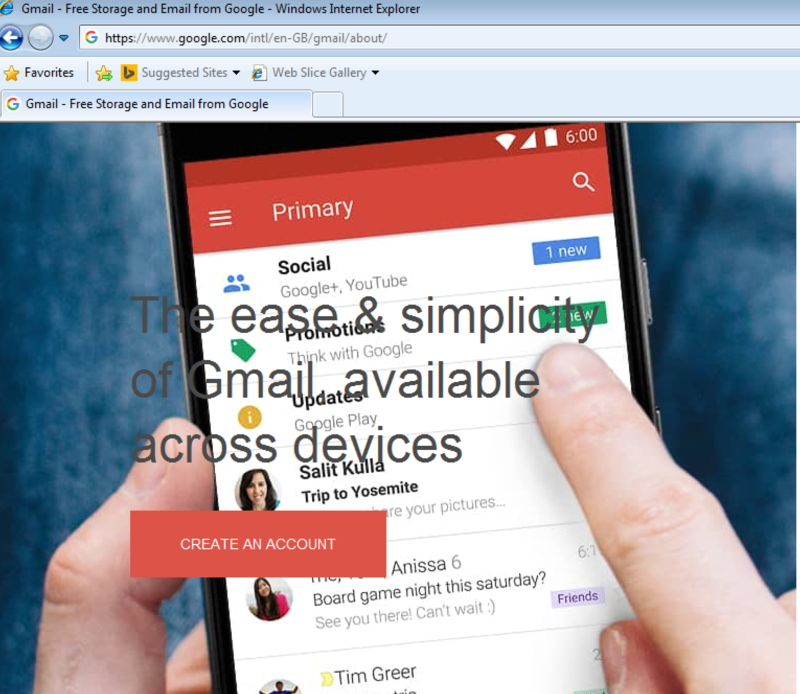 I gave up on Gmail and turned to MSN. 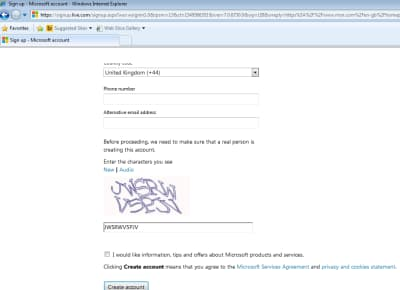 To my surprise, the CAPTCHA worked! Does that screenshot look OK to you? Can you spot the deliberate mistake? The leftmost input should have been my first name, not my surname. 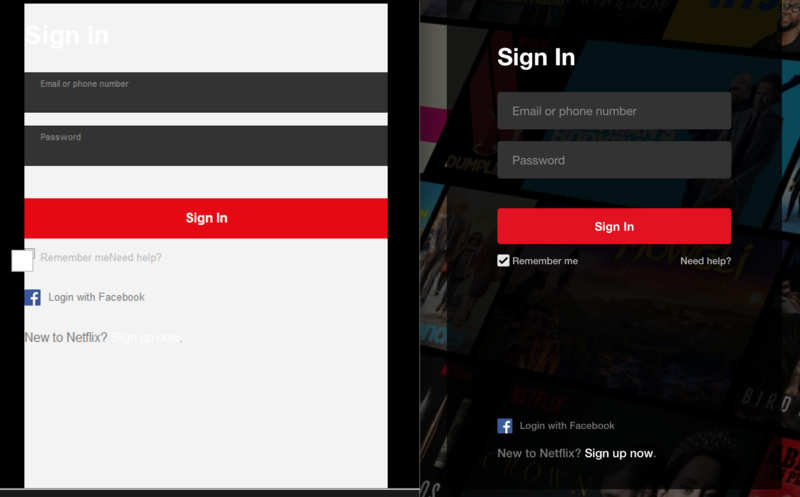 When I came back and checked this page later, I clicked on the “First name” label and it applied focus to the leftmost input, which is how I could have checked I was filling in the correct box in the first place. This shows the importance of accessible markup — even without CSS and visual association, I could determine exactly which input box applied to which label (albeit the second time around!). 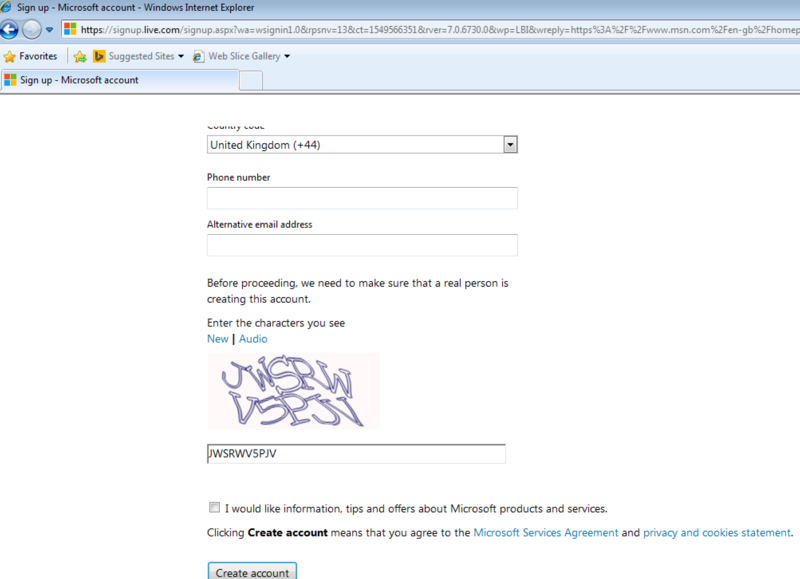 Anyhow, I was able to complete the sign-up process and was redirected to the MSN homepage, which rendered great. With my email registered, I was ready to go and check out the rest of the Internet! This is a clever fallback tactic, as Facebook need to support a large global audience on low-end mobile devices, so need to provide a basic version of Facebook anyway. Why not offer that same baseline of experience to older desktop browsers? 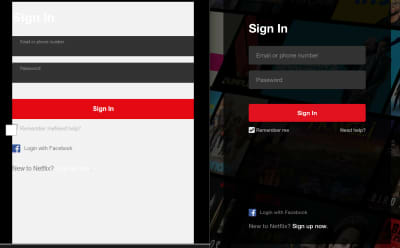 I tried signing up and was able to make an account. Great! But when I logged into that account, I was treated with suspicion — just like when I searched for things on YouTube — and was faced with a CAPTCHA. Only this time, it wasn’t so easy. 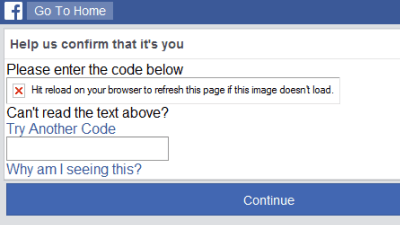 I tried requesting new codes and refreshing the page several times, but the CAPTCHA image never loaded, so I was effectively locked out of my account. Oh well. Let’s try some more social media. I visited the Twitter site and had exactly the same mobile redirect experience. 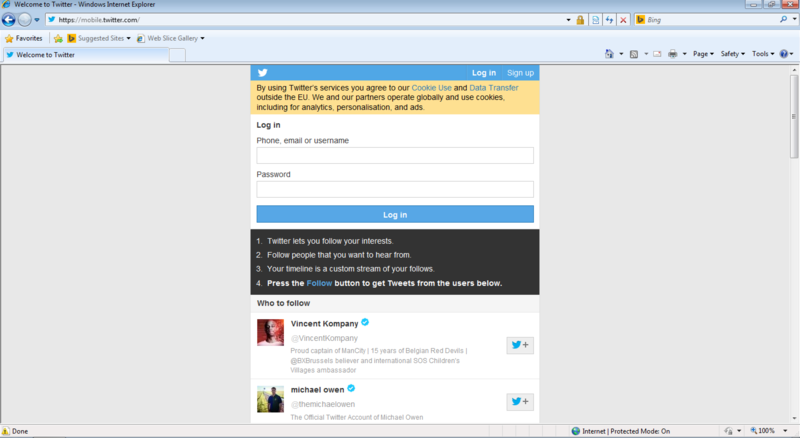 Oddly, Twitter is happy for you to log in, but not for you to register in the first place. 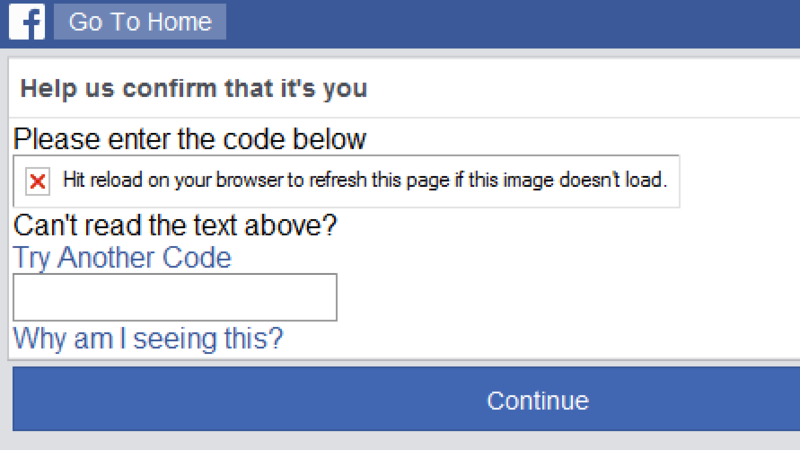 I’m not sure why — perhaps it has a similar CAPTCHA scenario on its sign-up pages which won’t work on older browsers. Either way, I’m not going to be able to make a new account. I felt awkward about logging in with my existing Twitter account. Call me paranoid, but vulnerabilities like the CFR Watering Hole Attack of 2013 — where the mere act of visiting a specific URL in IE8 would install malware to your machine — had me nervous that I might compromise my account. 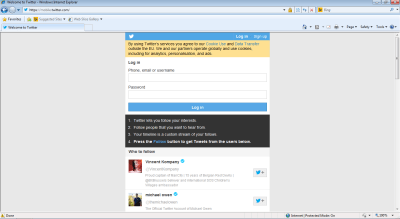 In conclusion, Twitter is basically fine in IE8 — as long as you have an account already! I’m done with social media for the day. Let’s go check out some news. 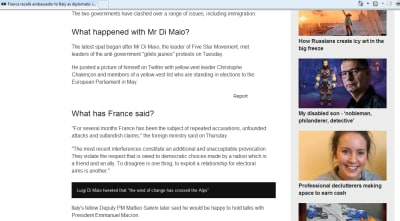 The news homepage looks very basic and clunky but basically works — albeit with mixed content security warnings. Take a look at the logo. 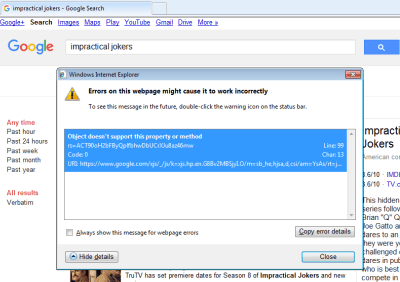 As we’ve already seen on YouTube, IE8 doesn’t support SVG, so we require a PNG fallback. This technique exploits the fact that older browsers used to obey both and tags, and so will ignore the unknown tag and render the fallback, whereas modern browsers ignore rendering when inside an SVG. Chris Coyier explains the technique in more detail. And that got me wondering about another streaming service. There’s a slightly different call to action (button text) — probably down to multivariate testing rather than what browser I’m on. What’s different about the render is the centralized text and the semi-transparent black overlay. 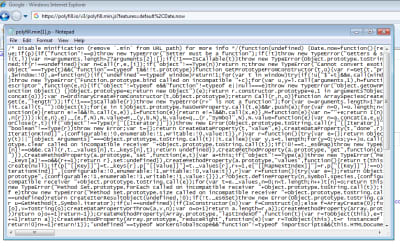 A text-align: center on this class would probably fix the centering for IE8 (and indeed all old browsers). For maximum browser support, you can follow a CSS fallbacks approach with old ‘safe’ CSS, and then tighten up layouts with more modern CSS for browsers that support it. 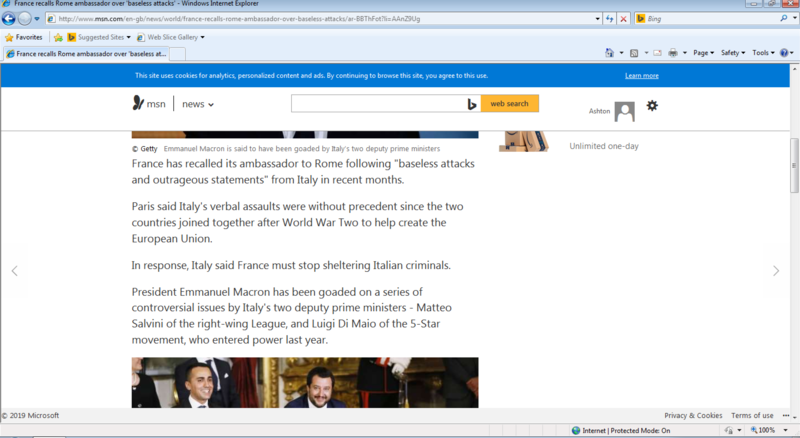 The lack of background is due to use of rgba(), which is not supported in IE8 and below. This is a very IE specific fix, however, basically every other browser supports rgba. Moreover, in this case, you’d lose the fancy Netflix tiles altogether, so it would be better to have no background filter at all! 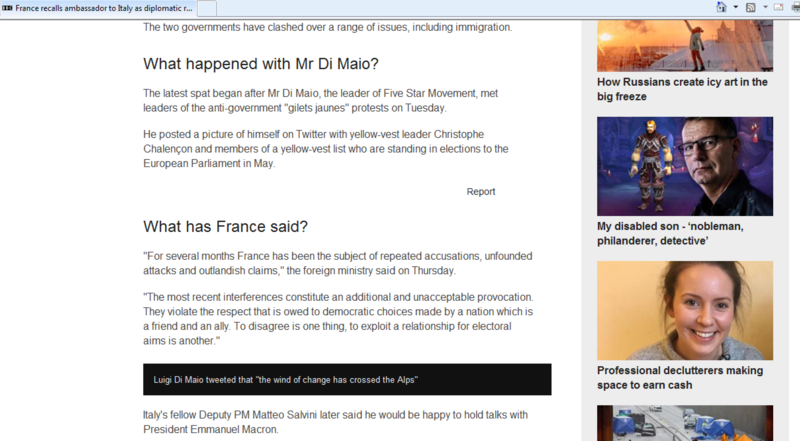 The surefire way of ensuring cross-browser support would be to bake the filter into the background image itself. Simple but effective. Anyway, so far, so good — IE8 actually rendered the homepage pretty well! 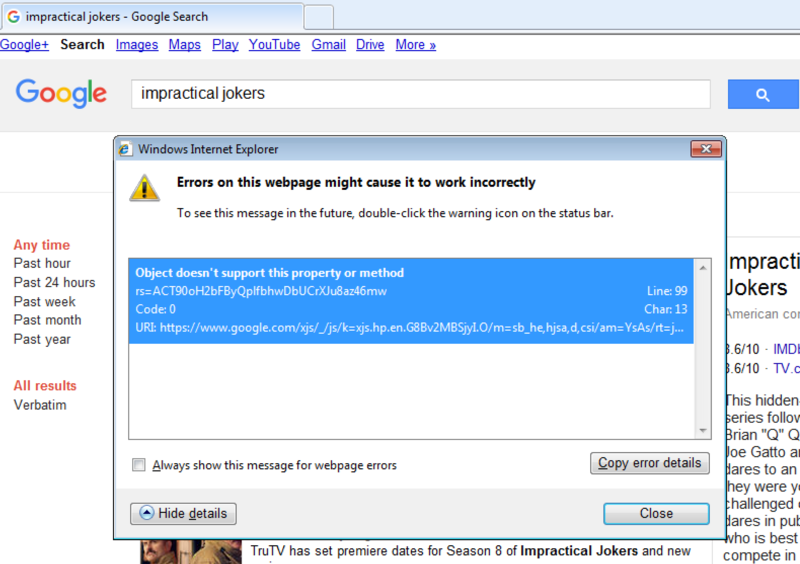 Am I actually going to be watching Breaking Bad on IE8 today? I clicked on a programme with vague anticipation, but of course, only saw a black screen. Ok, social media and video are out. All that’s left is to go shopping. I’ve been drawn in by a good homepage before. So let’s click on a product page and see if this is just a fluke. No! The product page looked good too! Amazon wasn’t the only site that surprised me in its backwards compatibility. Wikipedia looked great, as did the Gov.UK government website. 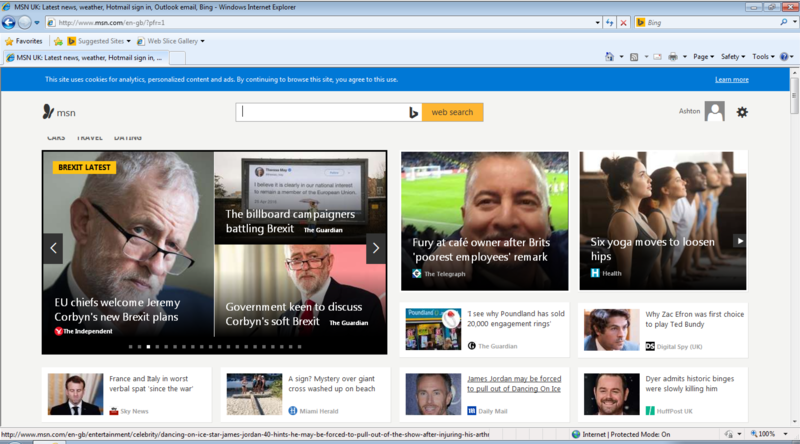 It’s not easy to have a site that doesn’t look like an utter car crash in IE8. Most of my experiences were decidedly less polished…! But a deprecated warning notice or funky layout wasn’t the worst thing I saw today. 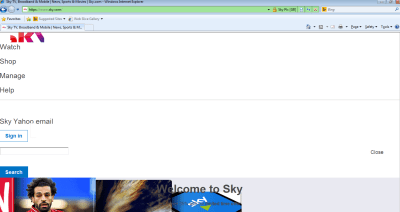 Some sites were so broken that I couldn’t even connect to them! I wondered if it might be a temporary VM network issue, but it happened every time I refreshed the page, even when coming back to the same site later in the day. This happened on a few different sites throughout the day, and I eventually concluded that this never affected sites on HTTP — only on HTTPS (but not all HTTPS sites). So, what was the problem? Looking at the default settings in IE8, only TLS 1.0 is enabled — but GitHub dropped support for TLSv1 and TLSv1.1 in February 2018. I checked the boxes for TLS 1.1 and TLS 1.2, reloaded the page and — voilà! — I was able to view GitHub! Many thanks to my extremely talented friend Aidan Fewster for helping me debug that issue. I’m all for backwards compatibility, but this presents an interesting dilemma. According to the PCI Security Standards Council, TLS 1.0 is insecure and should no longer be used. 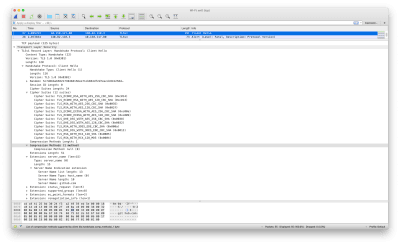 But by forcing TLS 1.1 or higher, some users will invariably be locked out (and not all are likely to be tech-savvy enough to enable TLS 1.2 in their advanced settings). By allowing older, insecure standards and enabling users to continue to connect to our sites, we’re not helping them — we’re hurting them, by not giving them a reason to move to safer technologies. 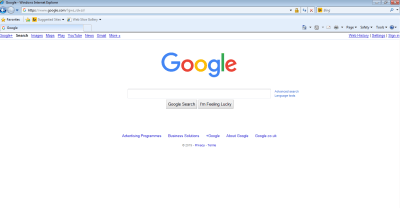 So how far should you go in supporting older browsers? How Can I Begin To Support Older Browsers? 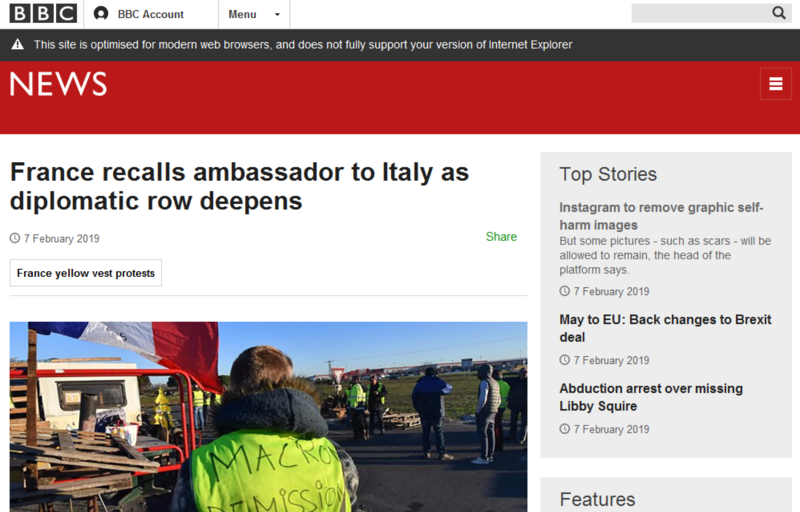 When some people think of “supporting older browsers”, they might be thinking of those proprietary old hacks for IE, like that time the BBC had to do some incredibly gnarly things to support iframed content in IE7. Or they may be thinking of making things work in the Internet Explorer “quirks mode”; an IE-specific mode of operation which renders things very differently to the standards. I’m going to move away from the world of IE8 now and talk about general, sustainable solutions for legacy browser support. Strive for feature parity for all by filling in the missing browser functionality. Start from a core experience, then use feature detection to layer on functionality. These strategies are not mutually exclusive from one another; they can be used in tandem. There are a number of implementation decisions to make in either approach, each with their own nuances, which I’ll cover in more detail below. There are a number of ways to do this, but first, a history lesson. ES6 was the popularized name of that version prior to its release, but ES2015 is the official name, and subsequent ECMAScript versions are all associated with their release year. At time of writing, the latest standard is ES2018 (ES9). Most modern browsers support at least ES2015. Almost every browser supports ES5. Technically IE8 isn’t ES5. It isn’t even ES4 (which doesn’t exist — the project was abandoned). 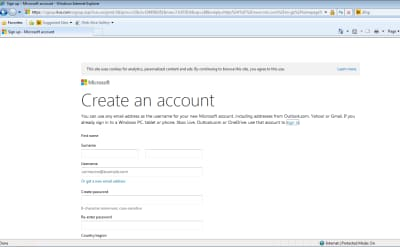 IE8 uses the Microsoft implementation of ECMAScript 3, called JScript. IE8 does have some ES5 support but was released a few months before ES5 standards were published, and so has a mismatch of support. Now let’s say our code uses a standard ES5 method, such as Array.indexOf. 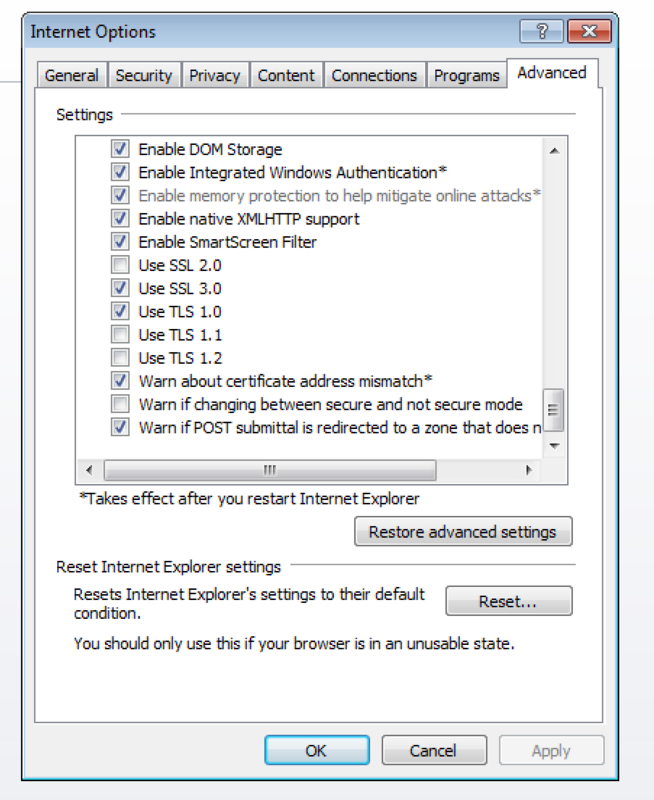 Most browsers have a native implementation of this and will work fine, but IE8 will break. Remember IE8 was released a few months before ES5 standards were published, and so has a mismatch of support? One example of that is the indexOf function, which has been implemented for String but not for Array. 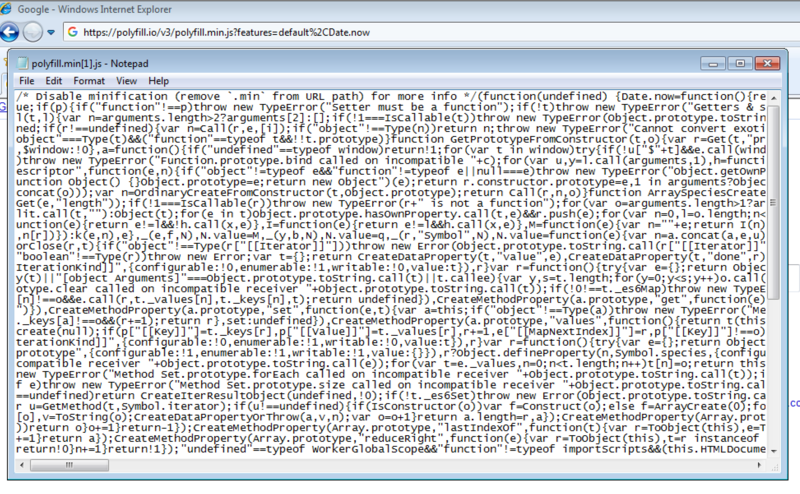 If we try to run the Array.indexOf method in IE8, it will fail. But if we’re already writing in ES5, what else can we do? Polyfills can be used to plug all sorts of missing functionality. For example, there are polyfills for enabling CSS3 selectors such as :last-child (unsupported in IE8) or the placeholder attribute (unsupported in IE9). Polyfills vary in size and effectiveness and sometimes have dependencies on external libraries such as jQuery. ⚠️ Out of the box, all your users will get the polyfills, whether they need them or not. I’ve talked about transpiling ES6 code down to ES5. You do this using a transpiler, the most popular of which is Babel. Babel is configurable via a .babelrc file in the root of your project. In it, you point to various Babel plugins and presets. There’s typically one for each syntax transform and browser polyfill you’ll need. The useBuiltIns configuration option of @babel/preset-env is where the magic happens, in combination with an import "@babel/polyfill" (another module) in the entry point of your application. When omitted, useBuiltIns does nothing. The entirety of @babel/polyfill is included with your app, which is pretty heavy. When set to "entry", it converts the @babel/polyfill import into multiple, smaller imports, importing the minimum polyfills required to polyfill the targeted browsers you’ve listed in your .babelrc (in this example, Chrome 58 and IE 11). Setting to "usage" takes this one step further by doing code analysis and only importing polyfills for features that are actually being used. It’s classed as “experimental” but errs on the side of “polyfill too much” rather than “too little”. 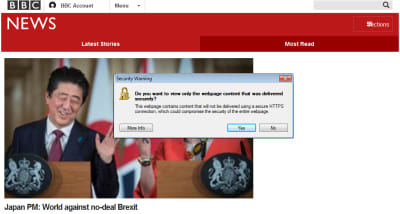 In any case, I don’t see how it’s possible that it would create a bigger bundle than "entry" or false, so is a good option to choose (and is the way we’re going at the BBC). ⚠️ Difficult to keep sight of exactly what’s being pulled into your application bundle. This example code is shamelessly copied from the very good article, “Lazy Loading Polyfills With Webpack And Dynamic Imports” that delves into the technique in more detail. ⚠️ Requires manually managing each polyfill. 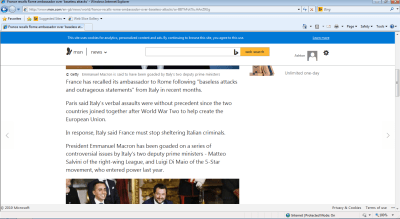 polyfill.io is polyfilling as a service, built by the Financial Times. It works by your page making a single script request to polyfill.io, optionally listing the specific features you need to polyfill. Their server then analyzes the user agent string and populates the script accordingly. This saves you from having to manually provide your own polyfill solutions. All that’s required from your site is a single script call. ⚠️ Makes a blocking call, even for modern browsers that don’t need any polyfills. Polyfilling is an incredibly useful technique for supporting older browsers, but can be a bloat to web pages and is limited in scope. 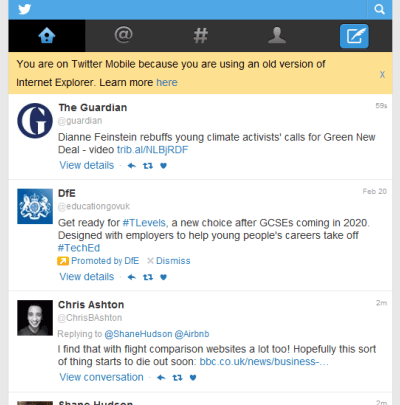 The progressive enhancement technique, on the other hand, is a great way of guaranteeing a basic experience for all browsers, whilst retaining full functionality for your users on modern browsers. It should be achievable on most sites. To avoid even attempting to parse untranspiled, modern JS, we can apply this “modern take” on the CTM technique, taken from @snugug’s blog, in which we take advantage of the fact that older browsers don’t understand the type="module" declaration and will safely skip over it. In contrast, modern browsers will ignore declarations. This approach is a good one, provided you’re happy treating ES6 browsers as your new minimum baseline for functionality (~92% of global browsers at the time of writing). The ‘ultimate’ approach is to use CSS media queries as your cuts-the-mustard litmus test. This “CSSCTM” technique is actively in use on sites such as Springer Nature. This approach is quite brittle — accidentally overriding the clear property on your body selector would ‘break’ your site — but it does offer the best performance. 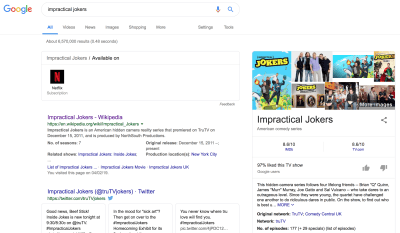 This particular implementation uses media queries that are only supported in at least IE 9, iOS 7 and Android 4.4, which is quite a sensible modern baseline. 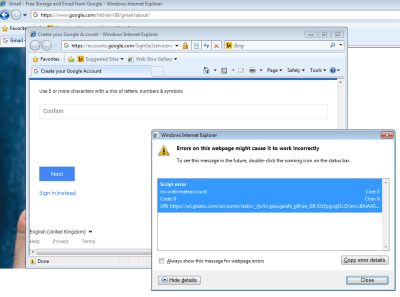 It’s simply not possible for sites to accommodate every single browser / operating system / network connection / user configuration combination. Techniques such as cuts-the-mustard help to rationalize browsers into C-grade and A-grade browsers, according to the Graded Browser Support model by Yahoo!. There is an argument that applying a global, binary decision of “core” vs “advanced” is not the best possible experience for our users. It provides sanity to an otherwise daunting technical problem, but what if a browser supports 90% of the features in your global CTM test, and this specific page doesn’t even make use of the 10% of the features it fails on? In this case, the user would get the core experience, since the CTM check would have failed. But we could have given them the full experience. And what about cases where the given page does make use of a feature the browser doesn’t support? Well, in the move towards componentization, we could have a feature-specific fallback (or error boundary), rather than a page-level fallback. The nesting approach we saw earlier used by the BBC for PNG fallbacks for SVG is the basis for the responsive image element. Modern browsers will render the best fitting image based on the media attribute supplied, whereas legacy browsers that don’t understand what a element is will render the fallback. The HTML spec has carefully evolved over the years to provide a basic fallback mechanism for all browsers, whilst allowing features and optimisations for the modern browsers that understand them. Before calling foo, we check if the Feature is supported in this browser by calling its browserSupported method. If it’s not supported, we don’t even attempt to call the code that would otherwise have errored our page. This technique means we can avoid pulling in polyfills and just go with what’s natively supported by each individual browser, gracefully degrading individual features if unsupported. In an ideal world, we shouldn’t need a global cuts-the-mustard check. Instead, each individual HTML, JS or CSS feature should be self-contained and have its own error boundaries. In a world of web components, shadow DOM and custom elements, I expect we’ll see more of a shift to this sort of approach. 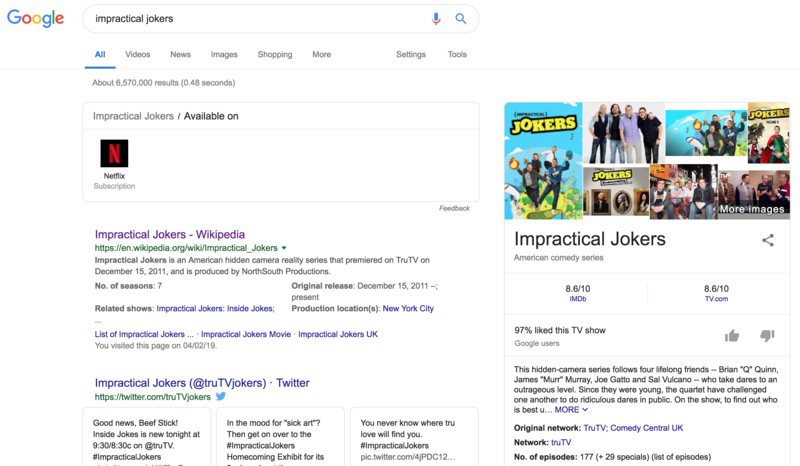 But it does make it much more difficult to predict and to test your site as a whole, and there may be unintended side-effects if, say, the styling of one component affects the layout of another. ✅ Can deliver client-side JS functionality to most users. ✅ Can be easier to code when delegating the problem of backwards-compatibility to a polyfill. ⚠️ Depending on implementation, could be detrimental to performance for users who don’t need polyfills. ⚠️ Depending on complexity of application and age of browser, may require lots of polyfills, and therefore run very poorly. We risk shipping megabytes of polyfills to the very browsers least prepared to accept it. ✅ Traditional CTM makes it easy to segment your code, and to manually test. ✅ Guaranteed baseline of experience for all users. ⚠️ Might unnecessarily deliver the core experience to users who could handle the advanced experience. ⚠️ Not well suited to sites that require client-side JS for functionality. ⚠️ Sometimes difficult to balance a robust progressive enhancement strategy with a performant first render. 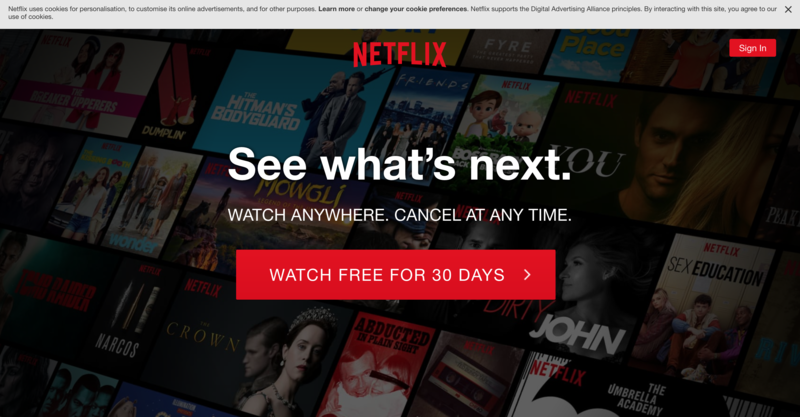 There’s a risk of over-prioritizing the ‘core’ experience to the detriment of the 90% of your users who get the ‘full’ experience (e.g. providing small images for noJS and then replacing with high-res images on lazy-load means we’ve wasted a lot of download capacity on assets that are never even viewed). 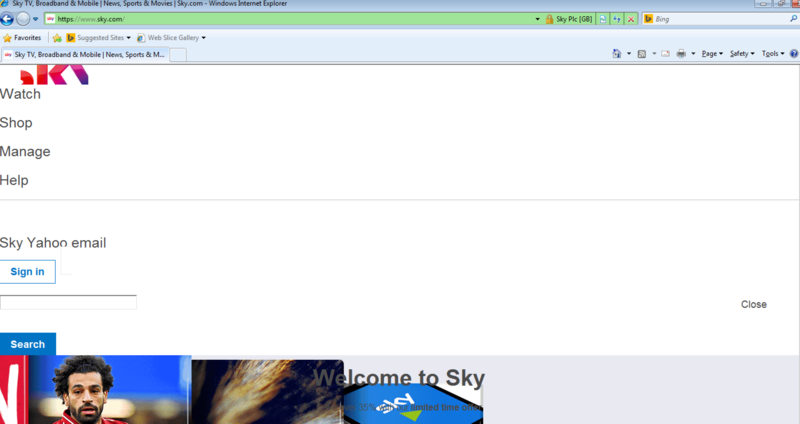 IE8 was once a cutting edge browser. (No, seriously.) The same could be said for Chrome and Firefox today. We tend not to think about screen reader numbers. We simply take it for granted that it’s morally right to do our best to support users who have no other way of consuming our content, through no fault of our own. The same principle applies to people using older browsers. We’ve covered some high-level strategies for building robust sites that should continue to work, to some degree, across a broad spectrum of legacy and modern browsers. 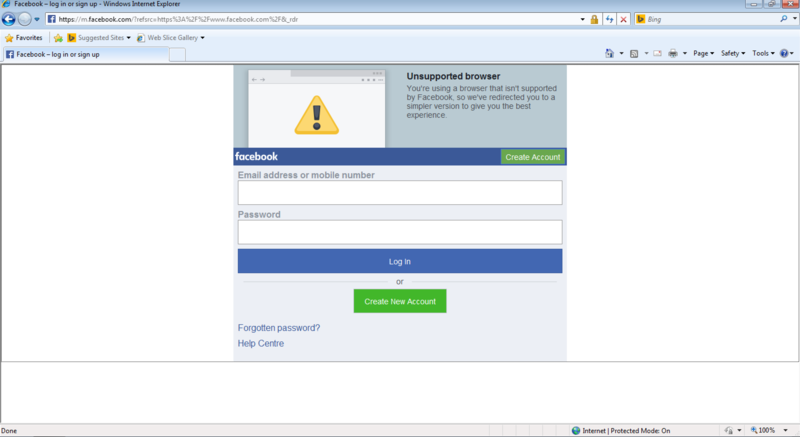 Once again, a disclaimer: don’t hack things for IE. That would be missing the point. But be mindful that all sorts of people use all sorts of browsers for all sorts of reasons, and that there are some solid engineering approaches we can take to make the web accessible for everyone. Optimize for the majority, make an effort for the minority, and never sacrifice security.